Larger restoration projects require more hands and a skilled team to get the job done right. A damaged church or school carries with it a unique set of challenges when attempting to restore them to their original conditions. Advance Companies’ highly skilled, trained staff are some of the best in the Minneapolis area at restoring historic buildings and schools, inside and out. It’s not just a church’s foundation that requires special attention after a flood or storm, but also precious artifacts and contents within its walls. 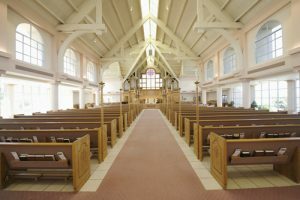 Advance Companies has built a strong reputation for restoring church buildings in the Minneapolis greater metropolitan area, understanding that a church restoration job is not an ordinary task. In order to restore a church to the best of our ability, we work closely with property management and affiliated church personnel to ensure each and every detail within a church’s wall is restored to pre-damage condition, paying special attention to details with artifacts and contents. As with churches, Advance Companies has the experience and equipment necessary to fully restore schools to pre-damage conditions quickly and efficiently. We finish the job as soon as we can because we understand that a school cannot be shut down very long for maintenance issues, if even at all. We will work tirelessly to reconstruct and restore property and contents to avoid additional problems. We’ll also mitigate problems down the road by modernizing your school to meet heightened weather standards, so an internal disaster doesn’t occur in the future. You can count on Advance Companies to get the job done right. Call us today to help restore your church, school, or other project at (763) 572-2000, or fill out a short form to get more information.